Below you can find the most important links you will need for your research. For additional information please visit our WIKI. The Burgenland church records are currently being digitised. The State District Archive Zámrsk is providing an online register of fonds. In this register, digitised books are indicated with a hyperlink in the last line for the books you can download. The gazetteer comprises 72,000 locations with information on their former and current names, their parish affiliations and earlier affiliations, the year that record keeping began as well as the archival district. If the church registers are online, a link is available. Mapire offers access to the First (1763-1787), the Second (1806-1869) and the Third (1869-1887) Military Surveys, the originals of the Franziszeische Cadastre starting in the year 1817 for Austria, parts of Hungary and Croatia, as well as many maps for European cities and the Austrian Historical Town Atlas. At the top right of the page, the index sheet of the general map of Central Europe provides the names of the individual sheets which are accessible further down, sorted alphabetically. The sheets can also be saved. We would also be happy to welcome you at one of our monthly meetings, the GENEALOGENSTAMMTISCHE. The dates are published on the Events page. Further tips are available on our Facebook page https://www.facebook.com/Portal.Ahnenforschung.Oesterreich/ and our WIKI (both in German). 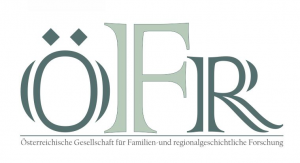 At the symposium “Genealogical sources – Genealogy as a source” (“Genealogische Quellen – Genealogie als Quelle) that took place on January 15, 2015 in St. Pölten on the occasion of the fifth anniversary of http://www.genteam.eu, a number of interesting presentations was given. The symposium was organised by GenTeam and the Archive of the Diocese of St. Pölten (www.dasp.at). Are you looking for even more information?